For convenience, the projections nplaea and splaea are provided for easy access to the polar aspect of the lambert azimuthal equal-area projection. 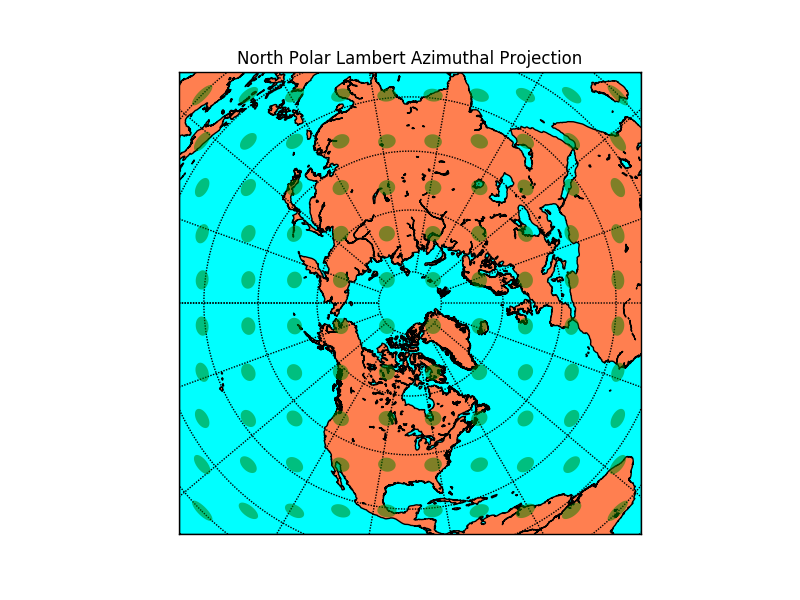 # setup north polar lambert azimuthal basemap. # of the map at lon_0. 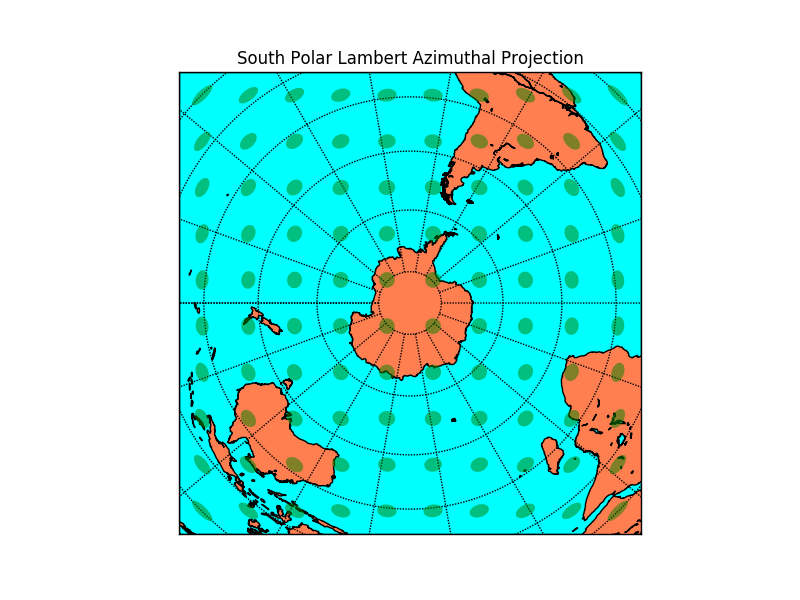 # setup south polar lambert azimuthal basemap.